W. Heath Robinson: Nursery bowl. Midwinter Pottery. 16.5cms diameter. A little rubbing to the lettering. Category: Designer Ceramics. 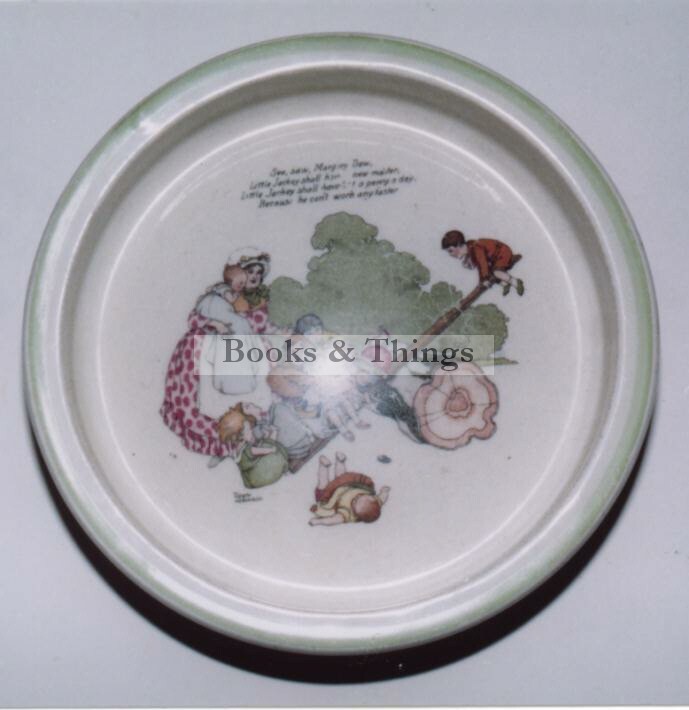 Tags: W. Heath Robinson ceramics, W. Heath Robinson nursery bowl.